The Drifz 302MB Vortex machined wheel is available in 16, 17, 18 and 20 inch sizes. The Drifz 302MB is available for most passenger cars. Free shipping on Drifz 302MB Vortex wheels. Free lugs and locks included with the purchase of a set of 4 Drifz 302MB wheels. This site has absolutely the best customer service you could ask for. You send an email you get a reply within a few hours. Straight forward honest staff. Very humbled. Enjoy your business. And I would definitely shop for wheels here again!!! I bought these 40 dollars less than any other website! Thank you for your product and your service. They truly believe the customers come first. If the manufacturer ships you the wrong part they shipped my parts I needed for free priority. We carry the complete line of wheels from Drifz Custom Wheels. Drifz Custom Wheels specializes in stylish wheels for today's domestic and import tuner market. Drifz offers custom wheels rims in Black and Machined finishes, including the newest Matte Black / Carbon Black finishes as well as Silver and Machined finishes. Drifz carries a few styles that sport a red racing stripe. Today and every day, free shipping on all Drifz Custom Wheels. 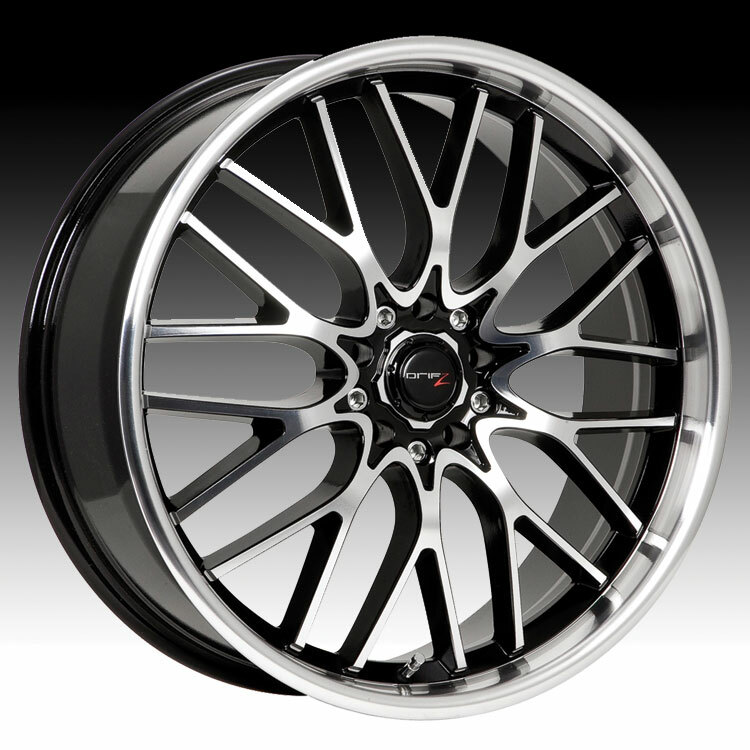 Lugs and locks are included at no additional cost with the purchase of 4 Drifz Custom Wheels. Free installation on Drifz wheels for our local Charleston, SC customers who choose "Store Pick-up" during checkout. See store for details. Fantastic service. Quick response to e-mails and follow-up. ..